Would you rather dance beneath the waves or hide your smuggled magic there? Welcome to a world of sparkling adult fantasy and science fiction stories edited by Stephanie Burgis and Tiffany Trent and featuring underwater ballrooms of one sort or another, from a 1930s ballroom to a Martian hotel to a grand rock ‘n roll ball held in the heart of Faery itself. What are Stephanie’s and Tiffany’s favorite bits? 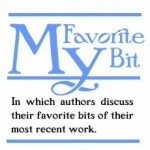 With stories featuring rock ‘n roll showdowns, underwater heists, mosasaur attacks, kissing stories and kiss-off stories, magical circuses, fairy tales, and more, I find it unbearably difficult to choose any favorite part of this anthology – so I’m going to cheat by talking about the joy of creating the anthology itself. As a pro writer, there’s a real imperative to focus only on our “sensible” projects, the ones that will move our careers forward and can be contracted for a smart price. But very few of us started writing for those reasons. I’m pretty sure that most of us started just for fun – for the intense creative delight and freedom of escaping into different worlds and characters through our words. Unfortunately, when you turn your fun writing hobby into your serious profession (which is, of course, the dream for many of us! ), it can be all too easy to lose that joy along the wayside – which isn’t good for our writing or our lives. So in the last few years, I’ve made a new rule for myself: every single year, I have to take on at least one passion project, something that I do just for the joy of it, purely to stretch myself in new and different ways and feel like writing is a game again. And what could possibly be more fun than playing a writing game with friends? I’d never co-edited an anthology before. So it was genuinely shocking to realize how magical that could feel – to say to some of your favorite writers in the world, “Wouldn’t it be fun to write stories with underwater ballrooms?” and then actually WATCH THEM DO IT. Talk about the most amazing gift! Writing my own novella for the anthology was simply fun, but getting all those fabulous new stories in my email inbox felt like a true miracle. Every single time a new story was sent to me, I would open it up, start reading and just be amazed all over again that this was really happening. Every story in this anthology brought me joy. I hope they’ll bring our readers joy as well. We all need more fun in our lives, after all. And what better place for that to happen than an underwater ballroom? I hope you’ll join our Underwater Ballroom Society! We’d love to see you there. I echo Steph here. I honestly tried to choose a favorite bit and couldn’t in all good conscience just choose any one particular story, because every story offers up some sparkling magic worthy of praise. When the idea for the anthology came up, I tried (not very hard) to tell myself I really didn’t have time for this right now. I had a novel to finish. But when so many fabulous authors (and there really were more than we could take on) jumped in our swimming pool (or our ballroom, if you will), I couldn’t resist saying yes. I’m so glad I did. These days, fun really seems to come at a premium. But what’s struck me most about this anthology with its heists, punk memories, rock n’ roll balls, and romantic encounters beneath the ballroom dome is how much joy it’s given those who have read it. More than ever, I think people are longing for stories that transport them, and every single one of these stories does that. I am so grateful to our authors who not only said yes with us, but also turned things around when we needed them, worked with us through the copy-editing stage, and have supported the anthology every step of the way. But truly if I had to choose my most favorite bit of all of this, it’s been working in this capacity with Steph. The process was so smooth and enjoyable that it sometimes barely felt like work. Steph always knows how to hit the right note with her feedback, is always punctual and professional, and is just an absolute joy to work with. I hope at some future time we can do it again, but even if we can’t, I’ll always take joy and pride in the fact that we managed this project together and opened the doors of the underwater ballroom to the adventures within. 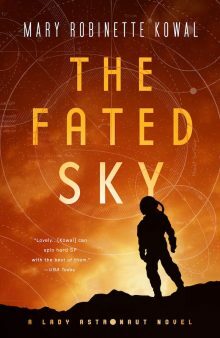 Tiffany Trent is the author of eight science fiction and fantasy novels for young adults, including the dark historical Hallowmere series and the steampunk Unnaturalists duology. The Unnaturalists was named a Green Earth Book Award Honor in 2012. She’s also published many short stories in various venues, including Clockwork Cairo, Corsets & Clockwork, Wilful Impropriety, and Subterranean magazine. 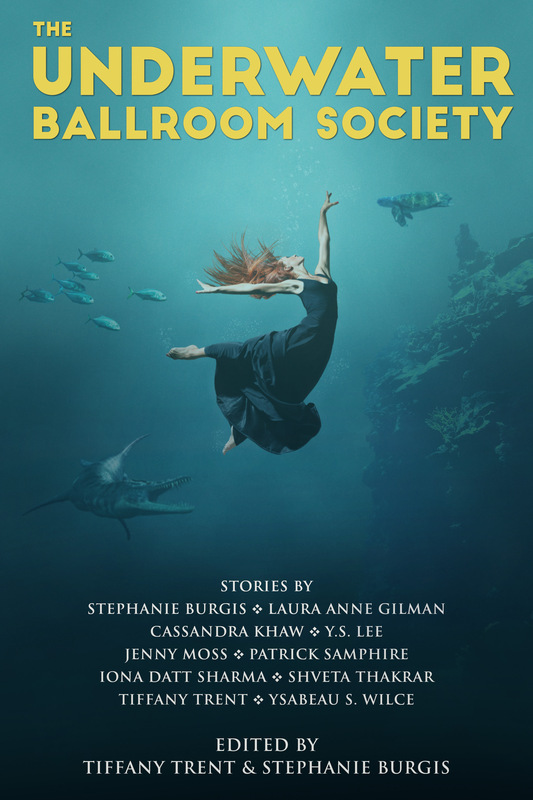 The Underwater Ballroom Society is her second co-editing adventure. When not writing, she’s out playing with her children (known on the Internet as Doomlet and Jupiter), keeping bees, or rummaging in her garden. Visit her at www.tiffanytrent.com, on Twitter @tiffanytrent, or Facebook at /tiffanytrentbooks. Stephanie Burgis grew up in East Lansing, Michigan but now lives in Wales, surrounded by castles and coffee shops. She is the author of several MG fantasy novels, including The Dragon with a Chocolate Heart (Bloomsbury 2017), which won the Cybils Award for Best Elementary Speculative Fiction novel of 2017, and the Kat, Incorrigible trilogy. She is also the author of various romantic historical fantasies for adults, most recently Snowspelled (Volume I of The Harwood Spellbook), and has published nearly 40 short stories in various magazines and anthologies. To find out more and read excerpts from all of her novels and novellas, visit her website – www.stephanieburgis.com – or find her on Twitter @stephanieburgis. You can also find more cat photos than you ever thought you needed on her Instagram account, @stephanieburgisinwales!